For Alex and Anastasia, the Faroe Islands in the North Atlantic Ocean are their go-to happy spot and I can totally see why! It’s one of those unspoiled landscapes that hold the most mesmerizing views and have the freshest air. Boy, oh boy, I spent most of my today daydreaming about exploring all the 18 islands, spotting those adorable sheep and just switching off and letting the landscape guide me around. 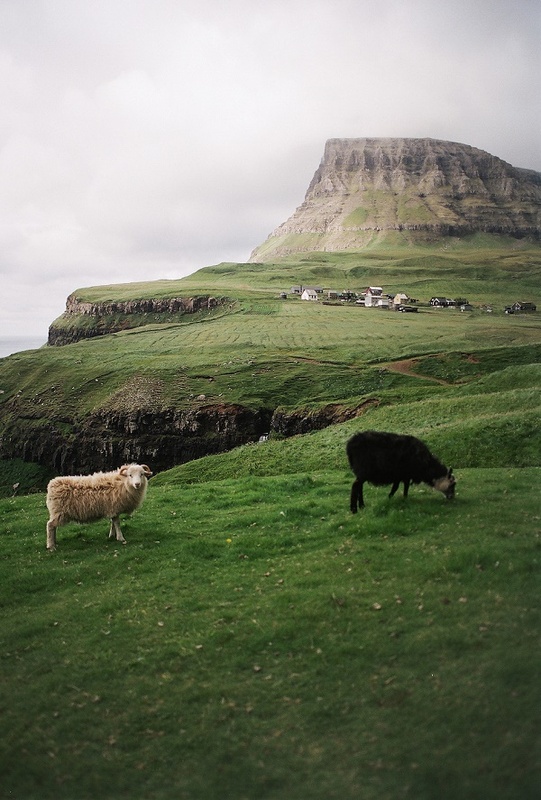 Fun fact: Did you know the Faroe Islands have 3 times more sheep than people? Incredible! P.S: Also, another swoonworthy spot and this place in France. P.P.S: Plus, tons more travel lust. Haha, that is a fantastic little fact. I want to go see the sheep now, and could those views get any better?